One of the ways of achieving a brand new concrete driveway by resurfacing the driveway with a polymer-modified concrete overlay like Uberdek. 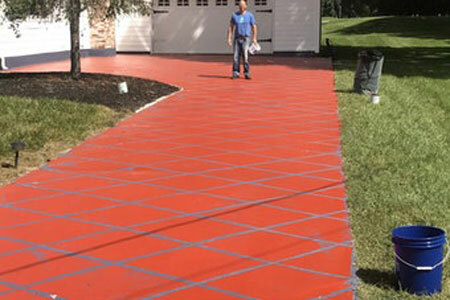 It can be integrally colored with Colorfastcolors or exterior Stains. If the concrete surface is in good condition but just needs a facelift, you can just stain, stencil or engrave it to improve the appearance.